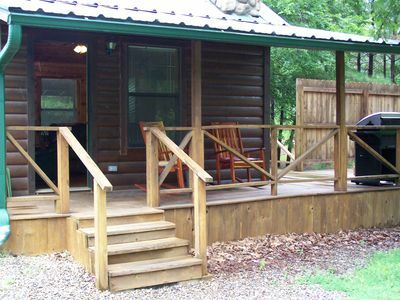 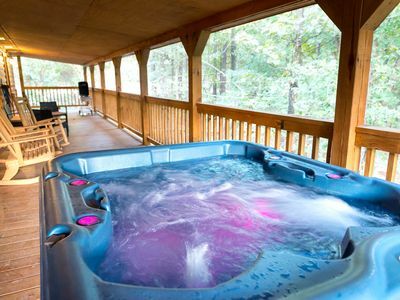 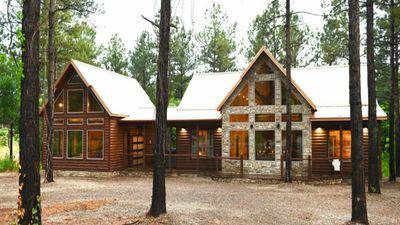 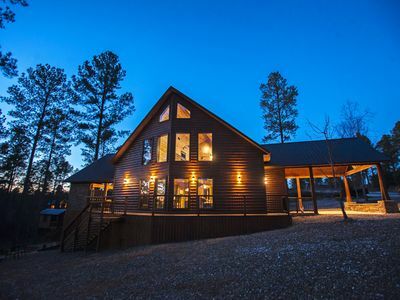 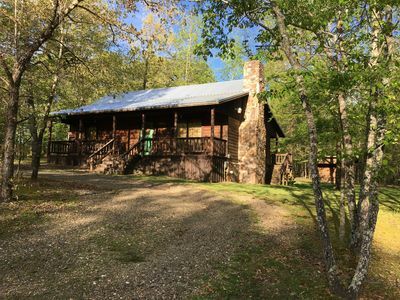 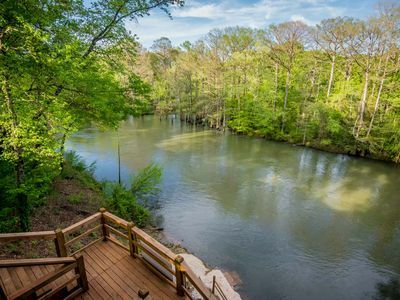 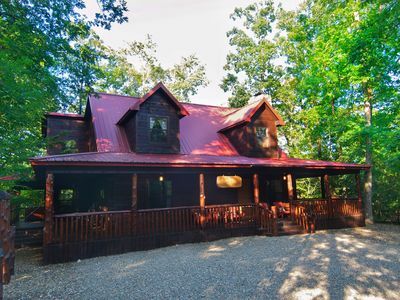 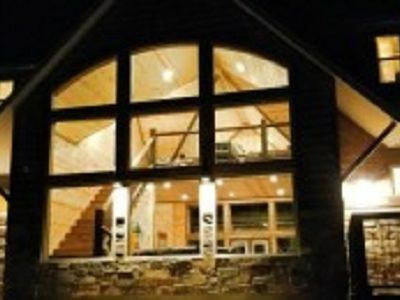 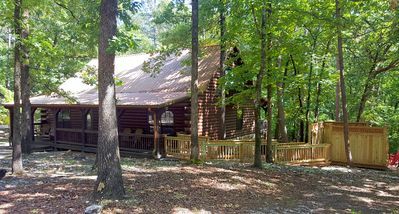 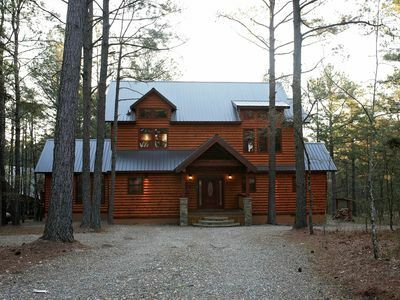 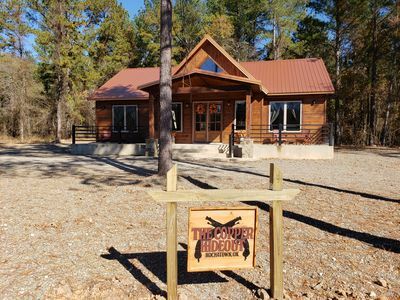 The Aspen Lodge continues to be a favorite rental cabin among regulars to the Broken Bow Lake area. 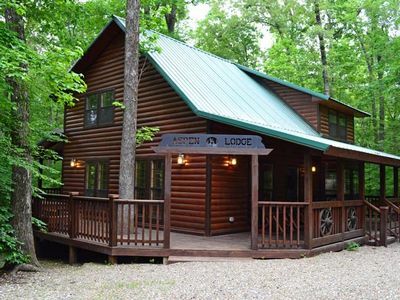 The Aspen Lodge can accommodate up to 8 People with 2 bedrooms, 2 baths and a large loft. 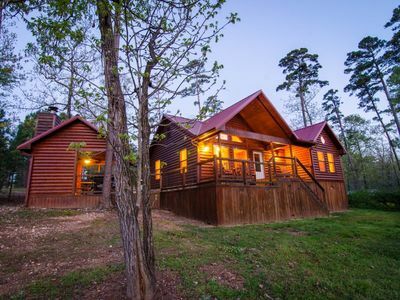 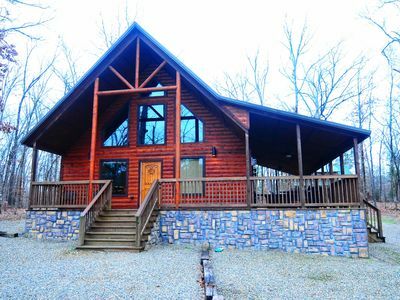 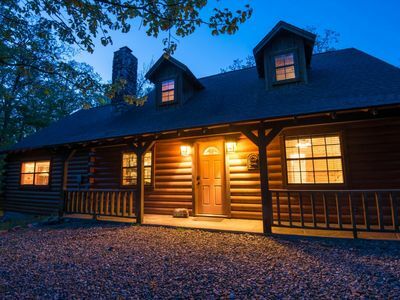 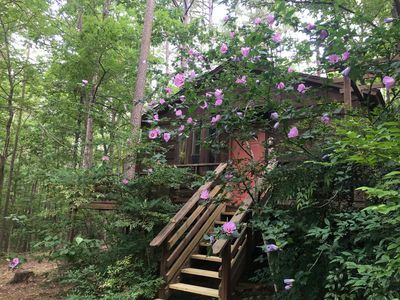 This 2-story cabin has a bedroom and bathroom on each floor. 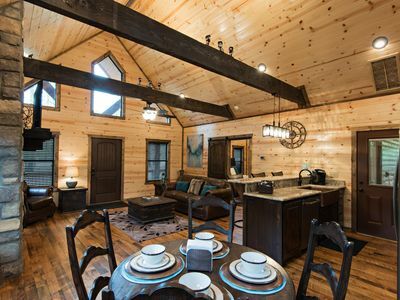 The Aspen Lodge is furnished with lodge décor featuring handmade aspen furniture and a leather sectional. 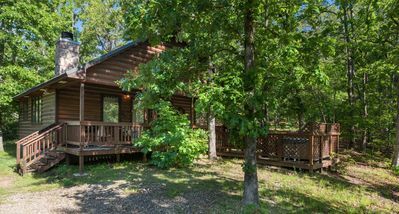 The bottom floor offers an open living room, kitchen and dining, allowing you to cook and spend time with the family all at once. 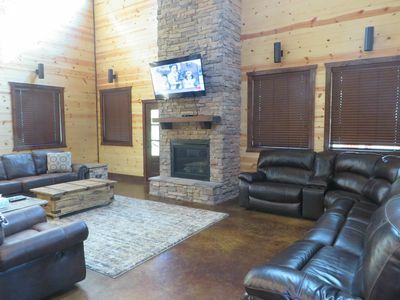 The vaulted ceilings and rock fire place complete the great room. 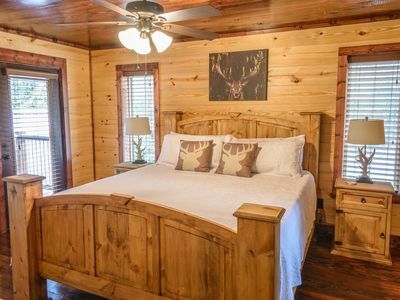 The upper floor features a large loft with a full size pool table, full size bed and a set of bunk beds. 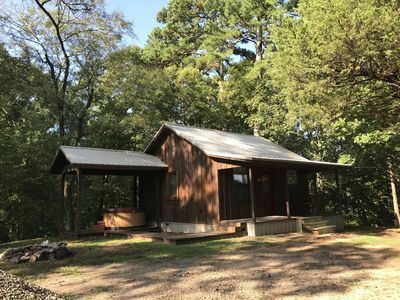 Newly added in-ground storm shelter added for your peace of mind and safety (shared with 3 other cabins).